Club Champion – Kitesurf & Windsurf – Canterbury Windsports Association Inc. Awarded to the best performing kiter at all CWA organised events held over the season which starts July and ends in June. Competitor has to be a Canterbury resident during the whole relevant season. Awarded to the sailor who performs the best across all racing events held by the CWA. 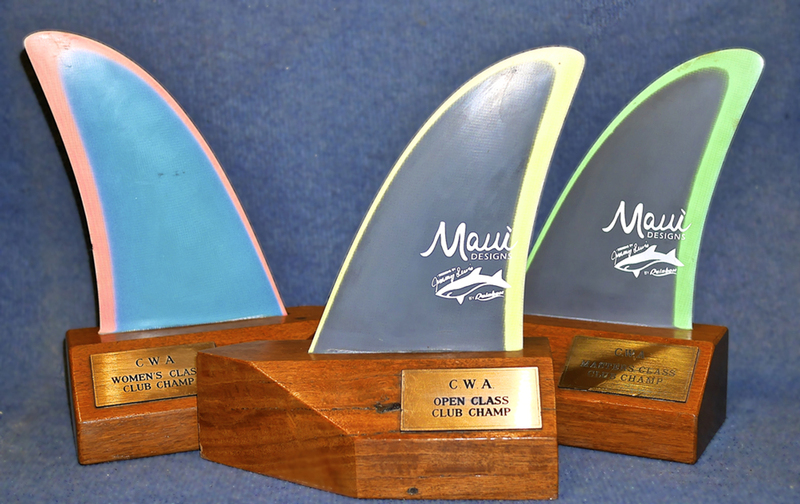 Canterbury Club Champion - Windsurf Trophies - Awarded to the best performing Canterbury sailor.